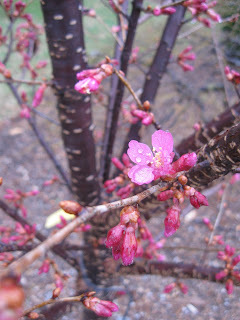 ~ The National Arboretum has a splendid and more varied display and LOTS or parking. Stroll around Fern Valley and the other gardens as well while you are there. Take the Self-Guided Tour: Beyond the Tidal Basin: Introducing Other Great Flowering Cherries to explore the arboretum’s collection of over 2,000 cherry trees representing 600 different cultivars, hybrids, and species of various shapes, sizes, flower colors, and bloom times, including trees that have been created by arboretum scientists. Note: The free tour covers several miles of arboretum roads, and can be driven, biked, or walked. Pick up a brochure in the Administration Building. ~ Tudor Place is a lovely place to take a stroll on your own through the spectacular Yoshino Cherry Blossoms during the full bloom. Event and entry fees apply. ~ Dumbarton Oaks in Georgetown, WDC, has a marvelous orchard of cherries. There is an $8 admission fee that goes to support the gardens. Parking is also a bear in that neighborhood -- I recommend you walk or take the bus. ~ Hillwood Estate in NW DC is pleased to celebrate the National Cherry Blossom Festival with short guided tours of Mrs. Post’s Japanese-style garden. Docents will be available to answer questions between the tours. The suggested entry donation to Hillwood is $12 per adult. ~ Brookside Gardens in Wheaton, MD, also has beautiful cherry blossom trees and many other flowering trees like plum, apricot, magnolias, and quince in bloom right now, and you don’t have to fight the crowds to see them. The gardens are also full of flowering bulbs like hyacinths, tulips, and hillsides of daffodils. ~ Lewis Ginter Botanical Gardens in Richmond, VA, has a ring of Yoshino cherry trees around their lake and Okame cherry blooms throughout the gardens. There is an entry fee of $10 to visit the gardens. ~ River Farm in Alexandria, VA, is a historic 25-acre site on the banks of the Potomac River. River Farm was once part of George Washington’s original five farms, and currently the headquarters of the American Horticultural Society. 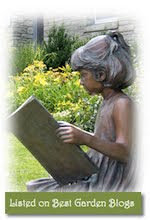 The grounds offer spectacular river views, a wildlife garden, and delightful children’s areas. ~ Green Spring Gardens near Annandale, VA, hosts a Ikebana flower arrangement workshops and has flowering cherry trees in its collection. There is a class fee and they fill fast so register today. ~ The Bethesda, MD, neighborhood of Kenwood for their stunning display. Park and walk in for an immersion in cherry tree lined streets. ~ Sarah Lawler suggests The Japanese American Memorial to Patriotism During World War II is a beautiful spot to see cherry blossoms. It is located near Union Station at the intersection of Louisiana Ave., New Jersey Ave. and D Street, NW, WDC. And across the street is a grove on the U.S. Capitol grounds. ~ Foxhall and Reservoir Rds, NW. Washington, DC. The Foxhall Village neighborhood near Georgetown has cherry blossom-lined streets that are known as the best-kept secret among locals. ~ Brenda Lynn shared she always bikes from Arlington, VA, in order to avoid having to park to take metro. It's a beautiful ride, and one could also bike along the GW parkway in VA to view all the blooms along the Potomac River. ~ Anacostia Park at 900 Anacostia Drive, SE. Washington, DC. Cherry trees bloom along the Anacostia River at the 1,200-acre park that is one of Washington, DC's largest recreation areas. ~ An anonymous post to my blog, tipped me off that there are several blocks of cherry blossom trees creating an arch above the streets of Garrett Park Estates in Kensington, MD. "Take Strathmore Road near Holy Cross Church, turn onto Flanders and then I think it’s Waycross. The trees span several streets, are lovely, and totally free of crowds!" ~ "Scott Circle, at Massachusetts & 16th, also has some great cherry blossoms," reports John Boggan. ~ Katie said, "There's a neighborhood off Query Mill in North Potomac, MD, that has streets lined with cherry trees. Not as fantastic as Kenwood, but if you're in the upper Montgomery County, it may be more accessible. Streets include Moran and Bonnie Dale. It blooms a few days later than Kenwood." ~ Ever since getting my weeping ‘Higan’ cherry, I feel no need to rush downtown. I keep a daily watch on my baby tree and celebrate loudly when the buds finally burst open. I highly recommend it. 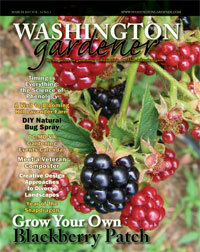 In addition, in the very first issue of Washington Gardener Magazine, we did a PlantProfile column on the selection and cultivation of cherry trees for our area. Got other DC-area Cherry Tree viewing locations? Please share them in the comments below.